GARDAÍ IN DUBLIN have seized cash, jewellery, GPS trackers and documentation in a number of raids across the city targeting the Kinahan gang. Some 80 gardaí were involved in searches at ten homes in the Kevin Street and Pearse Street areas of Dublin from 7am this morning. The searches are believed to be linked to investigations into the activities of associates of David Byrne, who was shot dead at the Regency Hotel last month. Speaking to reporters at Kevin Street garda station this afternoon, Detective Superintendent Peter O’Boyle said more than €50,000 in cash, €20,000 in jewellery, a number of GPS trackers and financial documentation were seized during the operation. A quantity of controlled substances was seized in the raids. A man in his 30s was also arrested on foot of a warrant and lodged in Mountjoy Prison. He said the investigation is centred on the activities of an organised criminal gang operating in the district and further operations are ongoing and those targeted were “active members” of the gang. 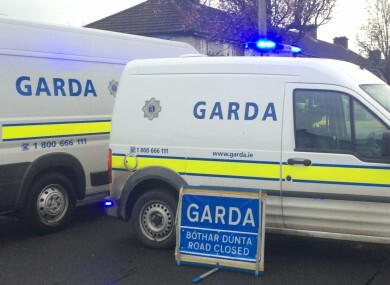 Gardaí said that it is anticipated that it will take some time for all searches to be completed. Email “Cash, jewellery and GPS trackers seized in raids targeting Kinahan cartel”. Feedback on “Cash, jewellery and GPS trackers seized in raids targeting Kinahan cartel”.